Steve Hackett earned his reputation as guitarist of the progressive rock band Genesis. He is a very active performer with continuous releases and gigs all over the world. Djabe is the number one jazz/world fusion band of Hungary. Along its 22 years of activity, the band received numerous awards, domestic and international, released more than 50 albums and performed in 42 countries. 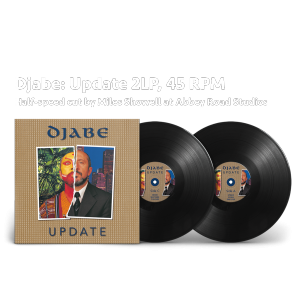 Djabe begin working with Steve Hackett in 2003, when he first performed on the band’s album Sheaves are dancing. Since 2007, their joint gigs continued across Europe and Asia, and released albums together (on CD, DVD, vinyl and Blu-ray). At the Romanian Garana Jazz Festival they performed for an audience of 13 000. 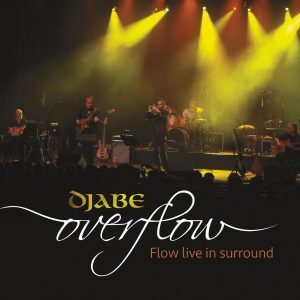 They released many of their joint live albums, under the name Djabe & Steve Hackett, with the last one released in February, 2017 via Cherry Red Records under Esoteric Antenna label, in England. 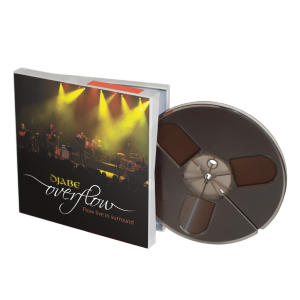 The album, called Steve Hackett & Djabe: Summer Storms and Rocking Rivers, came out as CD+DVD Box Set, produced extremely high sales numbers. Djabe stood on stage with a new line-up in autumn, 2016. Péter Kaszás (drums), János Nagy (keyboard), Áron Koós-Hutás (trumpet), Tamás Barabás (bass guitar) and Attila Égerházi (guitar) made New Dimensions Update Live, an album released on CD and master tape in January, LP in May. First half of the gig is about the abovementioned album. After the intermission, the line-up of the very successful 4-country tour of June steps on stage: Djabe with Steve Hackett & Gulli Briem. 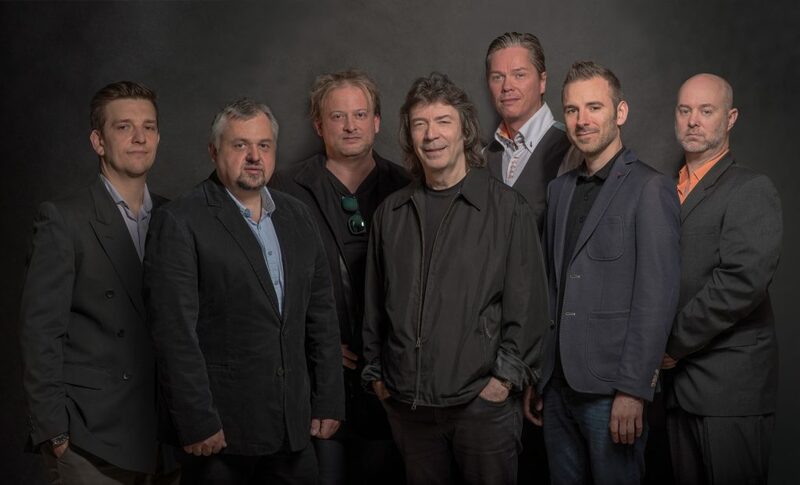 The extended line-up presents the studio album Djabe & Steve Hackett: Life Is A Journey, releasing in England and Hungary almost simultaneously. Of course, Péter Kaszás will also be performing on stage. The eagerly awaited album will be released on 2nd October in Hungary, and England and the rest of the world on 6th October. After the compositions from Life Is A Journey, a 30-minute compilation of best Genesis and Steve Hackett classics can be heard. This promises to be a real monstre gig with new experiences even for those attended at the June tour. The audience is accustomed to Djabe’s knack for embracing the new and presenting a musical experience even for the most demanding. It can well be said that Life Is A Journey will be a hit instrumental progressive/world sensation of 2017. The Genesis pieces after, like Firth Of Fifth, In That Quiet Earth and Fly On A Windshield make the gig an event to remember. A contemporary fusion band with roots in the city of Győr, RAS Q was founded by the then-17 years old high school student and bass guitarist, Bendegúz Rosta, 9 years ago. Now studying IT at a university, Bendegúz invited his father, S. Csaba Rosta first, who plays the guitar and quoted for the basics of their compositions. Rosta senior is a well-known architect, a designer of public buildings, hotels, sports halls. The band was joined by the GYŐR BALLETT’s ballet dancer, Bálint Sebestyén, who plays percussion. The band has 4 internationally renowned members. Tamás Ferenc Tóth violinist, concertmaster travelled back and forth between Europe’s concert halls. As a jazz musician and pianist, he is the founder and composer for the well-known TEA band. Today, he is a member of the Concerto Budapest, performs with Rúzsa Magdi and Gábor Presser. Zoltán Kovács joined RAS Q in 2011. A composer and pianist, he is a member of numerous internationally known bands. Between 2001 and 2016, he was a member of Djabe. Márton Stummer guitarist, a youngster with many awards of excellence, is a member of RAS Q since 2013. Also in 2013, Ferenc Kovács, a well-known violin and trumpet player of jazz, folk and world music, joined RAS Q. He was also a member of Djabe and the Dresch Quartet. RAS Q introduces its album Labirintus. The studio recording serves as a musical foundation for the SOPRON BALLET’s contemporary dance work of the same title, by choreographer Ottó Demcsák. Props and costumes designed by S. Csaba Rosta.